A landmark is now forever gone from the downtown area. 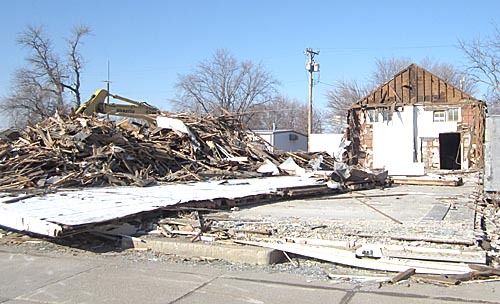 Last Saturday, Jan. 26, 2013, demolition began at the former Rae Valley Market (Andre’s Store) in downtown Petersburg. Rae Valley Market was moved last year to a new spacious building near the junction of Highways 14 and 32 in Petersburg. 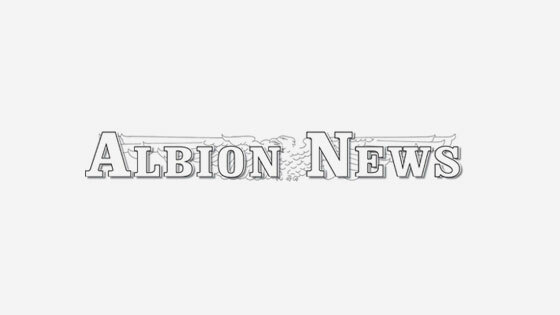 The demolition provided Petersburg residents with an opportunity to review the history of the local grocery store, which dates back to 1887 when J.J. Andre moved his small store building into Petersburg from its former location in Raeville. 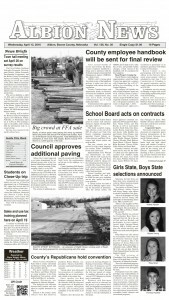 Complete details in the Jan. 30 Petersburg Press Print & Electronic Editions.